Remember these tree branches? 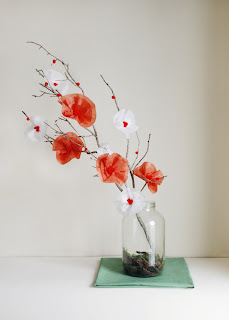 Since spring is just around the corner, I thought I would add some pink blossoms to the branches to make them more spring friendly. While at Dollar Tree I found some cute spring blossoms. I glued blossoms on the twigs with hot glue. Here are some cute twigs. I think I will add some birds to mine as well. 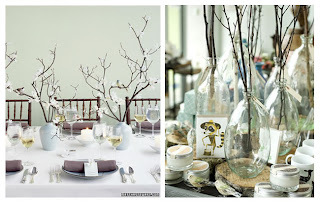 Another cute twig project found HERE.